Bill Cosby will face a maximum of 10 years behind bars after prosecutors and defense attorneys agreed to combine the counts against him into one after he was found guilty of sexual assault in April. The 81-year-old disgraced actor appeared Monday in a Pennsylvania court room for his sentencing where he was facing a maximum of 30 years behind bars after a jury decided he was guilty on three counts of aggravated indecent assault for drugging and sexually assaulting Andrea Constand at his home in Philadelphia in 2004, according to CNN. According to state guidelines, the actor could get 22 to 36 months in prison, plus or minus 12 months for the aggravating circumstances with the new deal. 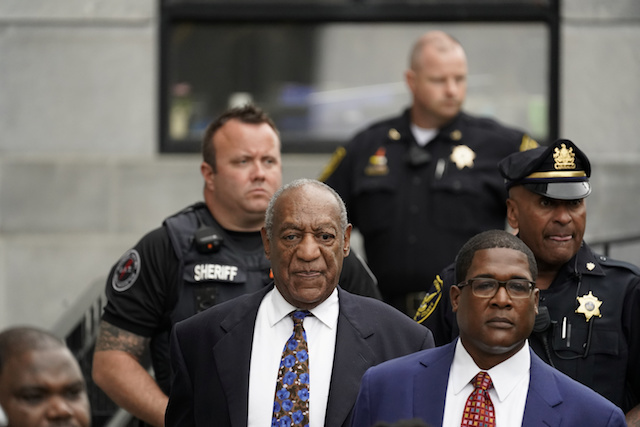 Sentencing is expected to continue Tuesday with Cosby learning his fate. The “Cosby Show” star currently remains on house arrest out on $1 million bail.